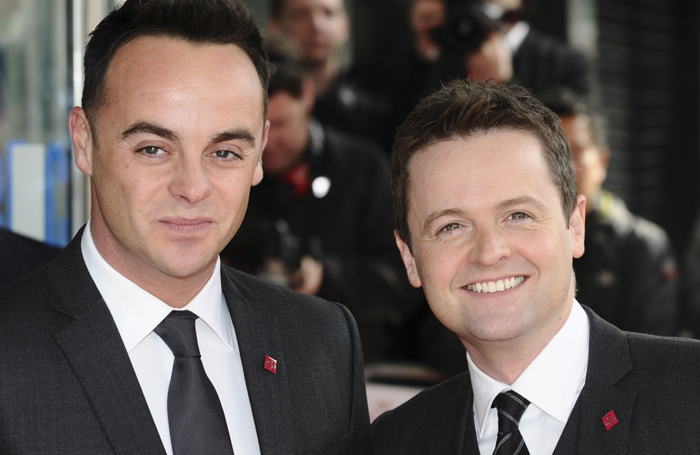 The interesting thing about the now-imperilled partnership of Ant and Dec is that they sprang from a BBC children’s television drama series, Byker Grove, produced in Newcastle and Gateshead by an independent production company, Zenith, which also made Inspector Morse for ITV and Hamish Macbeth for the BBC. The same gritty North East background fostered Robson Green, whose versatility as an actor and TV presenter, with a fascination for angling, has resulted in a long career. Ant and Dec were catapulted onto national television through a once robust regional production network, widely spread throughout the UK until it started withering away in the 1990s, but in their case was also fostered by the presence of punchy ITV franchise Tyne Tees – which unearthed a lot of talent in The Tube, the iconic Channel 4 show. Interviewing Ant and Dec in their early 20s, as they progressed their careers from drama to Saturday morning live television shows to prime-time presenting, I was struck by how natural they were. They were a fully formed duo, not a contrived act, the Geordie accents part of their star quality. British television is going through a period of introspection, seeking to reconnect with the millions who do not live in the South East and who maybe favoured Brexit. The most recent example is the deal struck by the culture secretary Matt Hancock to ensure Channel 4 spends half of its programme budget outside the M25 in future, and sets up a new national headquarters and two other centres outside of London. Trade weekly Broadcast magazine has just published its annual survey of TV production companies: it took the pulse of independent producer’s views on key genres of British television and, unsurprisingly, drama came out on top with a whopping 71%; the presence of Netflix and other American heavyweights playing a part. But when it came to entertainment, the bread and butter of popular television, the big niche Ant and Dec specialise in, the mood darkened, it sits fifth, near the bottom of the table. It is a challenge to find transformative hits, formats and presenting talent, which reduce the need to revive old shows, from Dancing on Ice to The Generation Game. With all his recent troubles Ant McPartlin, overall, has my sympathy. The duo have been working on one huge show after another, I’m A Celebrity…, Saturday Night Takeaway and Britain’s Got Talent. It reminds me of the pressure that ITV’s once-successful presenter Michael Barrymore cracked under less than 16 years ago. Maybe the load can be shared. And the new focus on finding regional talent might prove longer-term to be a means of finding authentic fresh talent, for everyone’s benefit.